Introduction: Intra uterine fetal death (IUFD), means the intrauterine death of the fetus before birth after 20 weeks of gestation, with a fetus weighing more than 500 g. The main causes can be classified into three groups of maternal, fetal, and placenta causes. Aim: The aim of the present systematic review and meta-analysis was to assess the prevalence of intrauterine fetal death in Iran. Methods: The prevalence of intrauterine fetal death was defined based on the international criteria and the measured outcome of the disease. Study selection, data extraction, and quality assessment were performed by two independent reviewers. Qualified studies were searched in Medline (PubMed), web of science, and Embase. All peer reviewed articles published by the end of 2017 were included during the process of searching. Cochran test and I2 index were used to evaluate heterogeneity of studies. Collected data was analyzed using Stata 12.0. Results: Of 263 studies, 5 studies utilized meta-analysis In 2017, the pooled overall prevalence of intrauterine fetal death in 44161 people was 4.9% (95% confidence interval [CI]:2.50, 4.60, I2 = 98.60%). Conclusion: Regarding the high prevalence of intrauterine fetal death in Iran two basic cases, including the birth registration of all babies and the provision of appropriate pregnancy care are essential in order to prevent stillbirth. To reduce the incidence of stillbirths, it is necessary to record the prevalence, untimely deaths, and the ways in which risk factors lead to stillbirths with higher precision and accuracy; finally, it is necessary to evaluate strategies the implementation of which might decrease the rate of stillbirth. Intra uterine fetal death (IUFD) means the intrauterine death of the fetus before birth after 20 weeks of gestation, with a fetus weighing more than 500 g. The main causes can be classified into three groups of maternal, fetal, and placenta causes. [1,2] Although intrauterine death has been significantly reduced in the last 30 years but, studies conducted on the prevalence of this phenomenon in developing countries show that, intrauterine death has not experienced significant decrease in these countries; the cause of about two thirds of fetal deaths is still unknown. However, main reasons can be divided into three categories of maternal, fetal, and placental. The results of Hemtyar et al. study showed that congenital anomalies were the most common cause of fetal death, the separation of placenta was the most common placental cause and maternal diabetes mellitus was the most common cause of maternal death;  maternal factors involved in intrauterine death of the fetus include gestational hypertension, insulin-dependent diabetes, high obesity, lack of activity, illiteracy, infectious diseases of mother and familial marriage, history of complicated labor, social and economic conditions, maternal and fetal injuries, anti-phospholipid antibodies, diabetes, hypertensive disorders, trauma, liver disease, sepsis, acidosis, Hypoxia,, and post-term pregnancy. Embryonic causes include congenital malformations (anencephaly and neural tube defects), mecuniom passage in utero, and intrauterine growth retardation. Although it is difficult to prevent stillbirth, the incidence of intrauterine deaths can be decreased with perinatal care and consultation, early diagnosis and accurate measurements. Intrauterine fetal mortality and morbidity is a very sensitive indicator of the health status of the community; it can also obscure future pregnancies and, in addition to imposing a huge cost, the family, especially the mother, will suffer severe consequences. The present study was conducted in several stages including accurate determination of the problem under study, collection, analysis and interpretation of the findings; additionally, preferred systematic reviews and meta-analysis (PRISMA) guidance system was used. Therefore, all stages of the research, such as search, selection of studies, qualitative evaluation, and data extraction were carried out independently by two researchers. In case of disagreement, the point was shared in group discussion and settled using the third researcher’s view. Qualified studies were searched in Medline (PubMed), web of science, and embase. All peer reviewed articles published by the end of 2017 were included during the process of searching. An electronic search strategy was implemented in collaboration with a librarian who had extensive experience in systematic review. The search was conducted in the Internet using Persian and English keywords including intrauterine death, pregnancy complications, Iran, mortality, perinatal, IUFD Mortality study, Prenatal and Maternal Disease; additionally, AND and OR coordinators were used to provide more extensive search. For further studies, the reference was made to all articles related to the topic. Qualified papers included collaborative studies, cross-sectional studies, case control studies, common health care studies in Iran that were published by the end of 2017; reviewed articles, discussion articles, non-research letters, case studies, and case series plus animal studies and all randomized controlled trials were excluded from the study. The titles of the retrieved articles were reviewed by two independent researchers and qualified papers were selected based on intended criteria and categorized into three groups of included, non-included and unsure. The abstract of papers categorized in the unsure group were restored and re-categorized after further discussion. Full copies of relevant studies were obtained, and their competence for independent inclusion was evaluated by two researchers. Any contradiction was solved by consensus or judgment of a third researcher. The risk of bias in studies was independently assesses by two researchers using relevant versions of the Critical Appraisal Skills Program (CASP) tool (http://www.casp-uk.net/). The articles were ranked based on various components of the study (the appropriateness of the design of the study for the research question, the risk of choice bias, exposure, and evaluation of the result). The differences were solved by consensus or the view of the third researcher. The present research investigated 5selected papers that were eligible to enter the secondary analysis process. Descriptive details of the articles are presented in Table 1; [7-20] a form comprised of three parts was designed in this section. Then, the basic data required for analysis, including bibliographic data, title, the name of the journal and author, methodology information including the method of study and type of plan, as well as information on the prevalence of hospital infections and their risk factors and general characteristics of the samples, target group or groups, and quantitative data, such as the mean age of patients, were collected [Table 1]. Table 1: Characteristics and information of papers related to IUFD. The variance of each study was calculated according to binomial distribution. Studies were combined with sample number and variance. Due to the heterogeneity of the studies, a random effects model was used to combine the studies. Cochran test and I2 index were used to evaluate heterogeneity of studies. Collected data was analyzed using Stata 12.0. In this retrospective-controlled study, we recruited 172 patients admitted to the Educational Hospital affiliated to our university, who had undergone empyema treatment in two groups from 2001 to 2009. The ethical approval for this study was obtained from the Ethics Committee of the university (the names of ethics committee, hospital, and university have been removed because of journal’s anonymous policy for authors and will be added upon acceptance and proof galley procedure). In a systematic review of articles by two researchers, 226 articles were found; after reviewing the titles, 34 repetitive articles were deleted. After reviewing the full text of 192 articles, 187 papers were deleted [Figure 1]. Finally, 5 studies, completed by the end of 2017, entered the final process [Figure 1]. The total sample size was 44,161. Table 2 shows the general profile and data for each of the examples mentioned. 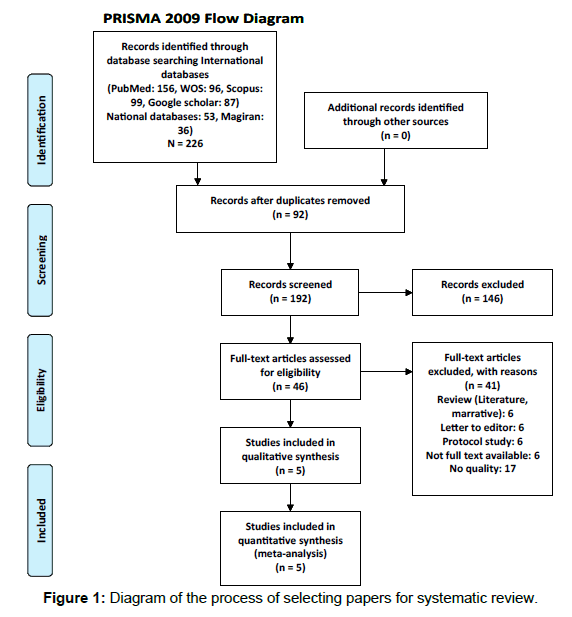 Figure 1: Diagram of the process of selecting papers for systematic review. Table 2: Subgroup analysis done for diagnosis of heterogeneity base on study participants. According to the random effects model, the incidence of intrauterine fetal death in Iran was estimated to be 4.9% (95% confidence interval from 4.6 to 5.2). The studies are presented in Table 2 according to the year and the city in which they were conducted. Given the heterogeneity of studies, the confidence interval for each study and for individual studies based on the random effects model is presented in Figure 2. Figure 2: The incidence of intrauterine fetal death and its 95% confidence interval for the studied cases according to the year and the city where the study was conducted based on the model of the random effects model. The midpoint of each section of the line estimates the% value and the length of the lines showing the 95% confidence interval in each study. The oval sign shows the incidence of intrauterine fetal death for all studies. Firstly, the data is mainly available for hospital births, while there is a large proportion of births at home; secondly, limited studies are conducted based on community in Iran, especially in remote areas, where information on mortality rate might not be available. To put it in a nutshell, stillbirth is one of the most common adverse consequences of pregnancy in developing countries; however, the number of studies is limited. According to the present study, two basic cases, including the birth registration of all babies and the provision of appropriate pregnancy care are essential in order to prevent stillbirth. To reduce the incidence of stillbirths, it is necessary to record the prevalence, untimely deaths, and the ways in which risk factors lead to stillbirths with higher precision and accuracy; finally, it is necessary to evaluate strategies the implementation of which might decrease the rate of stillbirth. South AP, Stutey KM, Meinzen-Derr J. A metaanalysis of the prevalence of intrauterine fetal death in gastroschisis. American journal of obstetrics and gynecology. 2013;209:114-e1. Crotti L, Tester DJ, White WM, Bartos DC, Insolia R, Besana A, et al. Long QT syndromeâassociated mutations in intrauterine fetal death. Jama. 2013;309:1473-1482. Korteweg FJ, Gordijn SJ, Timmer A, Holm JP, Ravise JM, Erwich JJ. A placental cause of intra-uterine fetal death depends on the perinatal mortality classification system used. Placenta 2008; 29:71-80. Hematyar M, Fazel Sarjuei Z, Alizad N. Etiologies of intra uterine fetal death. The Journal of Qazvin University of Medical Sciences 2006;10:69-73. Out HJ, Bruinse H, Christiaens G, Vliet Van M, Meilof J, De Groot PG, et al. Prevalence of antiphospholipid antibodies in patients with fetal loss. Ann Rheum Dis 1991;50:553-557. Safarzadeh A, Ghaedniajahromi M, Ghaedniajahromi M, Rigi F, Massori N. Intra Uterine Fetal Death And Some Related Factors: A Silent Tragedy In Southeastern Iran. J Pain & Relief 2014;3:129. Akbarizadeh MR. The etiology and treatment of bronchiolitis in children (A review). 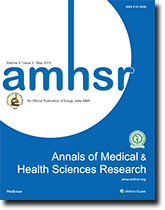 Journal of Current Medical Research and Opinion. 2018;1:6-8. Lawn JE, Cousens S, Zupan J, Lancet neonatal survival steering team. 4 million neonatal deaths: when? Where? Why?. The lancet. 2005;365:891-900. Martin JA, Hoyert DL. The national fetal death file. Semin Perinatol 2002;26:3-11. Akbarizadeh MR. Epidemiology and clinical manifestations of bronchiolitis: A review. Epidemiology. 2018;4. Akbarizadeh MR. Diagnosis of pediatric pneumonia-A review. Int J Adv Multidiscip. Res. 2018;5:27-31. Goldenberg RL, Kirby R, Culhane JF. Stillbirth: A review. The Journal of Maternal-Fetal & Neonatal Medicine. 2004;16:79-94. Say L, Donner A, GÃ¼lmezoglu AM, Taljaard M, Piaggio G. The prevalence of stillbirths: A systematic review. Reproductive Health. 2006;3:1. Jamal S, Agarwal S. IUFD incidence, causes and complications: a retrospective study done at a tertiary care centre in greater Noida, India. International Journal of Reproduction, Contraception, Obstetrics and Gynecology. 2017;6:5483-5487. Bakshi L, Hoque S, Tanjin F, Dey S, Bakshi M. Epidemiology of intrauterine fetal death in Dhaka National Medical College Hospital. Bangladesh Medical Journal. 2016;45:131-133. Shaaban LA, Al-Saleh RA, Alwafi BM, Al-Raddadi RM. Associated risk factors with ante-partum intra-uterine fetal death. Saudi medical journal. 2006;27:76-79. Zarei R, Athary F, Aghae N. Assessing of the frequency of interauterine fetal death and related factors in Ahvaz Imam Khomeini hospital, Jundishapour. Scientific Medical Journal. 2009;8:438-448. Nanbakhsh F, Broomand Sarkhabi F, Ahmadi Afshar G, A survey on intrauterine fetal death and its affecting factors in Kowsar hospital, Urmia, Iran, The Urmia Medical Journal. 2006;8:498-503. Vakili FZ, Yousfi F, Mahdavirad M. Prevalence and risk factors of intrauterine fetal death in Kurdish pregnant women. Journal of Chemical and Pharmaceutical Sciences ISSN.;974:2115. Vakilian K, Mobaseri SH. Prevalence of IUFD and It's maternal and fetal causes in Arak in 2012-2013. (in Persian).